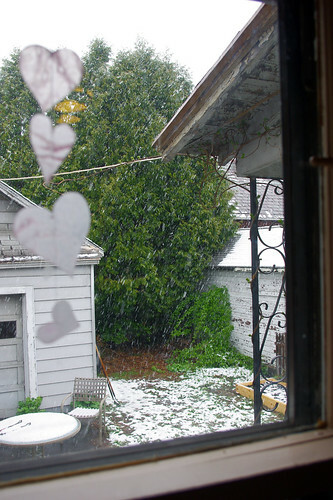 Artistically Speaking: April Blizzards Bring May Blossoms! That is snow. Oh, it was so sad. Because these ones, my friends, are flower petals! Oh my goodness!! I cannot believe that! So funny, I thought the last photo was snow at first. 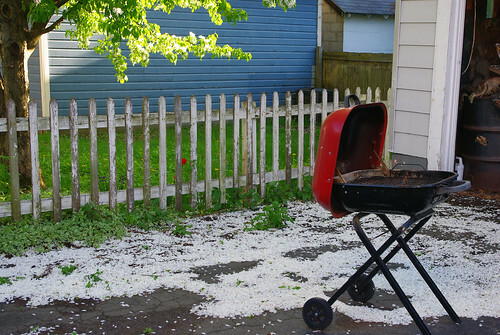 Thank goodness for flower petals!! Cool photo!